This exercise was much harder than I expected. 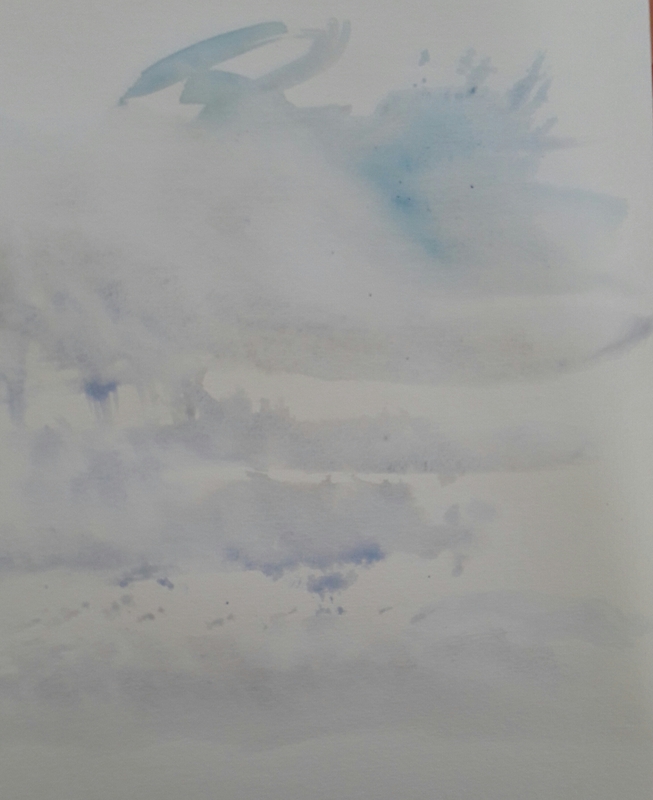 I started with some wet in wet watercolour. This is a technique I haven’t really used before. I decided to put in a horizon as the tonal contrast between land and sky emphasises the darkness on the land and the lightness of the sky. I didn’t get the land dark or sharp enough though. I tried oil pastel. I have always found oil pastel hard to smudge, I tried blending it with some olive oil which created an interesting effect and a yellow tone which the clouds did have. In this sketch I used charcoal for the clouds and conte for the landscape. I like the abstract effects of this. I spent longer on this sketch, lifting out the light in the clouds with a putty rubber. I was itching to get the patches of blue sky into a sketch. I used chalk pastel and I really like the soft feathery effect I could get with this medium. The thing I like about the contrast of cloud and sky is the solidity of the colour in the sky contrasted with the tonal variations of the cloud. 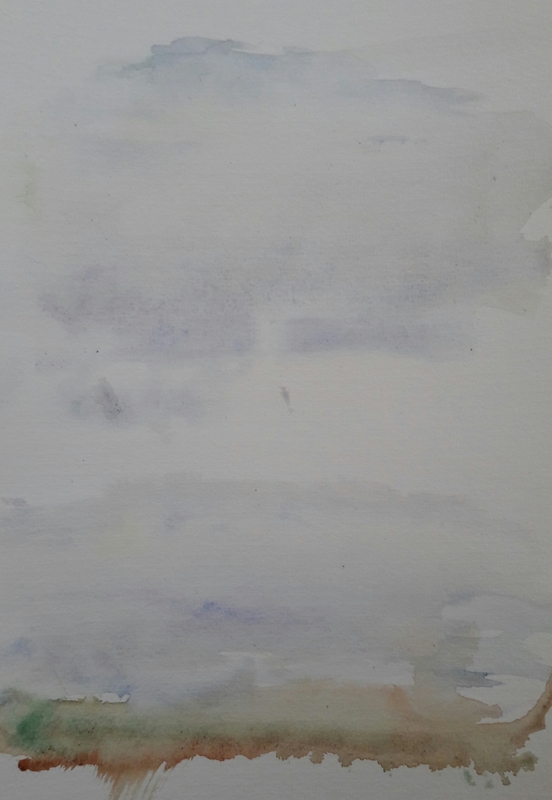 I’d like to produce a piece where this is expressed – in the following sketch, the sky is a little patchy. I loved just looking at the sky and clouds and really observing the tonal variations in the clouds. To do: continue sketching clouds, look up oil pastel techniques.